See also Dr. Beck Weathers, a medical doctor who is famous for narrowly surviving the 1996 Everest Disaster. Dr. Eberhard Schaaf (2012), German doctor died high on Everest. Dr. Roland Yearwood (2017), a medical doctor in Alabama (USA), died in 2017 on Everest. The history of mountaineering expeditions on Mount Everest has evolved since the first official mountaineering expedition trekked up its slopes in 1921. In the subsequent decades from this point until the 1960s, many expeditions were funded by major organizations and launched in a "siege" style with large climbing parties. These early campaigns helped overcome the relatively remote nature and uncharted territory of Everest. Additionally, these journeys paved the way for the "lightweight"-style expeditions that would follow (a prime example is the successful 1980 solo ascent by Reinhold Messner, the first without supplemental oxygen). The 80s and 90s saw the emergence and rise in the commercialization of the ascent to Everest's summit. These commercial expeditions range from logistics only (i.e. a permit and some basic base camp supplies) to expensive, professionally-guided expeditions promising even laypeople an increased chance of successfully reaching the summit. The increased access now afforded to scaling the world's tallest mountain, while leading to more people successfully reaching the summit than ever before, has also seen a concomitant and exponential rise in casualties. Another very deadly event was in 1995, when 42 died near Everest in a large avalanche. One of the people claimed by Everest mountaineering was the U.S. astronaut Karl Gordon Henize. He was on a mission to study radiation but came down with a fatal case of HAPE in October 1993 and died at north base camp. 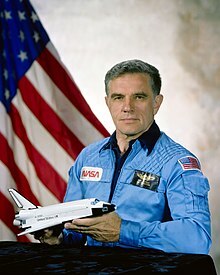 At the time he was the oldest astronaut to have flown in space and also had a doctorate in astronomy. He died on October 5, 1993, and was buried on Mount Everest. ^ a b "Everest K2 News ExplorersWeb - Everest: List of Avalanche Victims". Retrieved 6 May 2015. ^ a b Human Edge Tech, Explorersweb Inc. "Adventure Consultants Everest 2015 - Dispatches - By CONTACT5.0". Retrieved 6 May 2015. ^ "Adventure Consultants Everest 2015 Expedition Dispatches". adventureconsultants.com. Retrieved 28 May 2016. ^ "Young Sherpa plunges to his death on Everest - Latest - New Straits Times". Archived from the original on 15 June 2013. Retrieved 28 May 2016. ^ "Helga's Everest nightmare - In English - Abenteuer Sport - DW.COM". blogs.dw.com. Retrieved 28 May 2016. ^ a b Rachel Nuwer (9 October 2015). 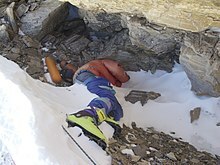 "BBC - Future - Death in the clouds: The problem with Everest's 200+ bodies". bbc.com. Retrieved 28 May 2016. ^ "Body of Indian climber spotted on Everest as weekend's death toll rises to 4". Washington Post. Retrieved 2017-05-23. ^ "Woman dies after ascending Everest | CJOnline.com". cjonline.com. Retrieved 28 May 2016. ^ "Avalanche triggered by quake kills 18 on Mount Everest". Retrieved 26 April 2015. ^ "The West Ridge Direct". everesthistory.com. Retrieved 9 June 2011. ^ "12 guides killed in worst ever Mt Everest accident | The Brunei Times". bt.com.bn. Retrieved 29 May 2016. ^ Reuters Editorial. "FACTBOX - World's deadliest mountaineering disasters 2008". reuters.com. Retrieved 29 May 2016. 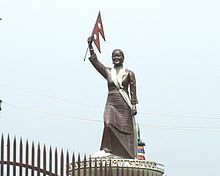 This page was last edited on 9 March 2019, at 08:47 (UTC).